As long as there have been governments, there have been taxes. And since governments began trying to collect those taxes, people have looked for ways to avoid them. That&apos;s the story of moonshine and bootlegging in a nutshell — man&apos;s search for a good drink without the stress of reaching into his pocket. 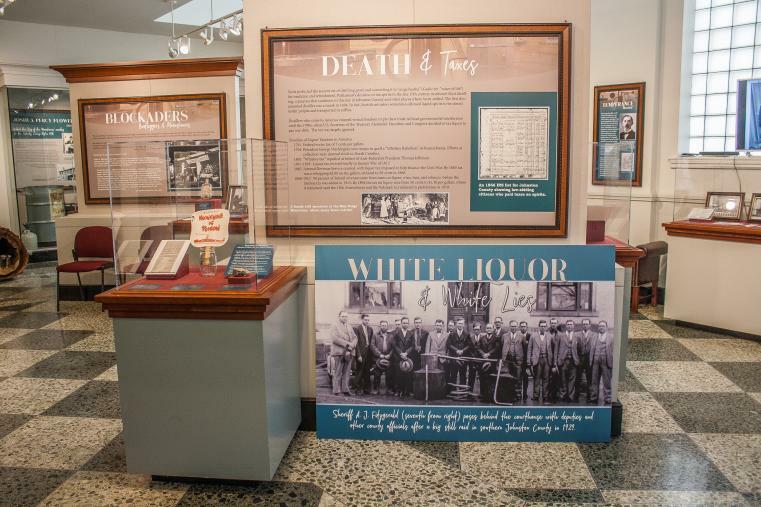 The history of the profession is on display through the end of the year at the Johnston County Heritage Center in their “White Liquor and White Lies” exhibit. 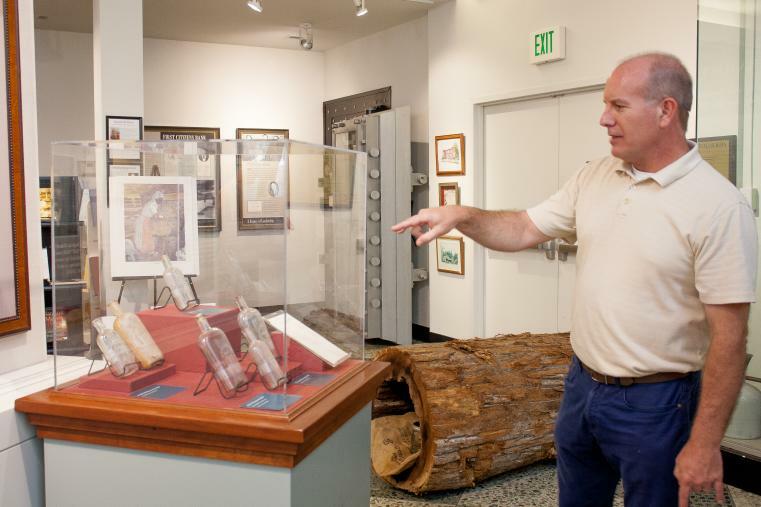 Inspired by Perry Sullivan&apos;s donation of a few items from his father, Percy Flowers, Johnston County Heritage Center Director Todd Johnson decided to create a full-blown display. “I just got into the story and realized it was a very important part of our culture that had never really been displayed or interpreted,” he said. “This is just scratching the surface. We have a fairly small exhibit space. That&apos;s one of the misconceptions about moonshine and bootlegging. While Prohibition made the practice a necessity, the idea actually got its start in Scotland in the 1700s. Settlers brought their stills and recipes with them when they came, and thus, an American tradition was born. Spirits became such an important part of the colonial culture that, in 1776, local leaders raised troops to send to the Battle of Moore&apos;s Creek Bridge, near Wilmington, by offering them payment in liquor. Some of the ledgers are on display in the exhibit. After the war, there were bills to be paid. Alexander Hamilton had the idea of taxing liquor to retire the Revolutionary War debt. After the War Between the States, when North Carolina re-entered the Union, the moonshining culture really took root. Not everyone was found of the industry. The temperance movement sought to rid the country of alcohol. Of course, with so much legal revenue at stake, it wasn&apos;t until a national income tax was established in 1913 when the idea really started to gain traction. One of the steps towards the eventual passage of Prohibition in 1920 was the establishment of dispensaries in Johnston County. Smithfield&apos;s dispensary opened on July 1, 1899 — ironically in the Heritage Center&apos;s current location on the corner of Third and Market. The idea behind the dispensary, which was sort of like today&apos;s ABC store, was to provide residents a place to purchase, but not consume, spirits. It was an effort to clean up the town, which just a few years earlier, had nine saloons within a block of the courthouse downtown. There were also dispensaries in Selma, Clayton, Pine Level, Micro and Kenly. 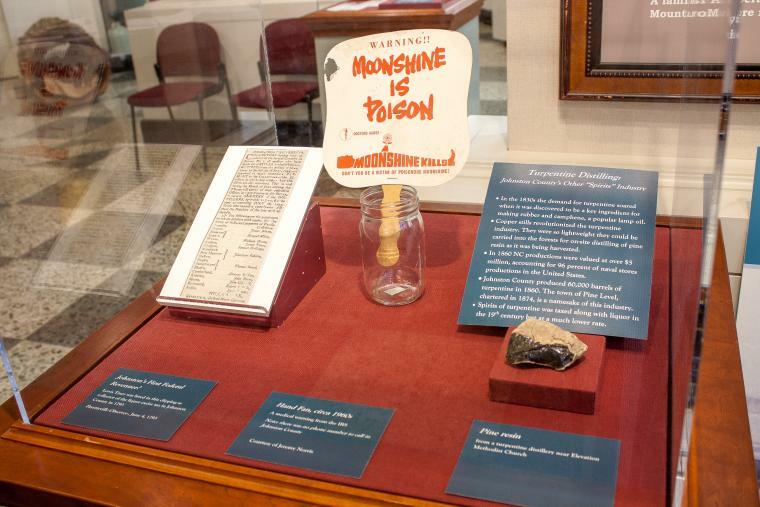 Prohibition is where many of the better known stories began, but the exhibit traces the roots of bootlegging back much farther. The 20th century also gave rise to some of the county&apos;s most important characters. Robert L. Flowers, who was no relation to his more famous namesake, Percy, was sworn in as a federal marshal shortly after the start of Prohibition. “My grandmother used to tell me a story about when she was a little girl,” Johnson said. “She grew up near Benson, and her grandmother always made scuppernong wine during Prohibition. She would keep it in the flour barrel. She would put a piece of wood in there and a little bit of flour on the top. 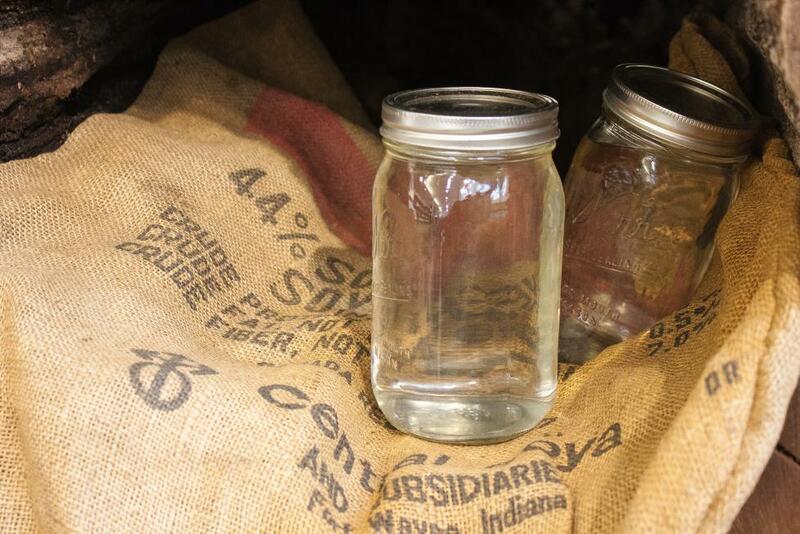 The liquor that wasn&apos;t spilled wound up impounded at the courthouse, where residents could come with jars and blocks of camphor to prove they planned to use the “white lightning” for medicinal purposes and take home a free jar full. Of course, no exhibit on the history of Johnston County bootlegging would be complete without a nod to Joshua “Percy” Flowers, who “The Saturday Evening Post” called “The King of the Moonshiners” in 1958. There are other noteworthy entries in the exhibit, such as a Kl Klux Klan hood and robe from the 1920s. The Klan, in a bit of moralistic irony, was very interested in the abolition of alcohol, going so far as to visit stills to encourage moonshiners to change their sinful ways. There&apos;s also a section of a 1792 will in which John Norris left his still and all of his whiskey to his son, Nathan. Based on one of the exhibit&apos;s displays — a model still made by a student at South Johnston a few years ago — there&apos;s still a bit of bootlegging going on in the county. “Let&apos;s just say that the person who gave them the information knew what they were doing,” Johnson said. Attendance for the exhibit has been good, Johnson said. He only wishes he had more room. You can find this and other articles in the Johnston Now September issue by clicking here.